UPDATE II: With a headline proclaiming, “Teachout plans to use office in war on corruption,” the September 9, 2018 Sunday Buffalo News quotes from the Attorney General candidate’s prophetic 2014 opinion piece to demonstrate her “nose for corruption.” Here’s the on-line version of the 09/09/18 article; and, here’s Zephyr’s 2014 “Another Voice” column. UPDATE I: I often disagree with the positions taken by the editorial board of the Buffalo News. But, they got this one right, endorsing Zephyr Teachout for NYS Attorney General. Click here. New York’s registered Democrats will have the opportunity on Thursday, September 13, to select an Attorney General candidate with the integrity and knowledge to challenge abuse of power and ethical lapses, not only in our nation’s capital, but in Albany. In my opinion, that individual is Zephyr Teachout. The impressive lawyers seeking to be our state’s next Attorney General – Letitia (Tish) James, Leecia Eve, Sean-Patrick Maloney, and Zephyr Teachout – all proclaim the courage to take on Donald Trump. That attribute is essential these days. But trust in government will not be restored if we don’t demand that the head of our state’s Department of Law also possess the independence and tenacity to take on Andrew Cuomo and the web of corruption apparent throughout the Empire State. Zephyr Teachout demonstrated her independence and mettle when she ran against the incumbent governor in 2014. As a citizen, I wish that the convictions handed down on July 12, 2018 in the Southern District of New York’s federal court shocked me. They didn’t. I’ve seen too much during the 29 years that I’ve been an observer of development-related government decision-making. Zoning, land use and construction decisions are made at what I view as the intersection of politics and greed. It’s an unattractive and discouraging place to be if you believe that citizens deserve both an open and fair process, and government officials who truly strive to function lawfully and in a manner intended to benefit society as a whole. I feel saddened, not vindicated, by the convictions. What is most troubling is a realization that the Lou Ciminelli’s of this world – and the compliant government officials with whom they interact – may truly believe that they’ve done nothing wrong. After all, that’s how the system has always worked. I have no profound recommendations. There are no magic wands to wave. We must intelligently exercise our right to vote, and select honest and courageous representatives. But we human beings are flawed. Self-interest – whether it’s the developers greed, or the politicians desire for power – will always be a motivating force when choices are being made. I beg to differ. Whether we’re talking about decisions being made in Albany by the Cuomo administration, or in Buffalo under the auspices of Mayor Byron Brown and our very common Common Council, the ends do not justify the means. The integrity of the decision-making process – the how and why decisions are being made – is of equal, if not greater, importance than the outcomes of those determinations. Here’s a few other thoughts I have (some, admittedly, may be of greater significance than others) relating to the Buffalo Billion verdict. The real world has finally caught up with my computer’s spell-checker. Now the proffered spelling option seems like more than just a quirky coincidence. There actually is an official, tangible connection between Ciminelli and illegal, unlawful or illegitimate activity. News of the conspiracy and wire fraud convictions has not only been splashed across the front page of the Buffalo News. Thanks to the elephant-in-the-room throughout the month-long trial – Andrew Cuomo (whose conduct has raised eyebrows long before the Buffalo Billion controversies, see, for example, this and that) interest in the story has far exceeded the boundaries of Mr. Ciminelli’s hometown. So a good chunk of the world now knows what spell-check has been presciently alluding to for quite some time. What caught my eye were the words of Paul Shechtman, Louis P. Ciminelli’s attorney. While we may have crossed paths in Cambridge, Ma. in the mid-1970s while attending Harvard Law School, I don’t know Mr. Shechtman, He certainly has had an impressive legal career. And his political connections run deep, including appointments by former NY Governor Pataki as chair of New York State’s Ethics Commission and Commission on Lobbying. Lou Ciminelli’s high-priced New York City attorney appears to be feeling the same way that I have felt all-too-often while representing common folk in Western New York who dare to question the wisdom of a proposed development project. I have repeatedly experienced deep disappointment in my chosen career Whether it was a city or town’s legislative body, a highly respected member of Congress, my own city councilmember, or a state Supreme Court judge. I have found it difficult to fathom how government officials could honestly view things so differently than my clients and I. “A longtime critic of both Ciminelli and Cuomo praised the jury’s verdicts. The hypocrisy – or self-deception – evident in dear Carl’s comment is mind-boggling. As I posted more than four years ago – following a “New Urbanism” conference held in Buffalo – the relationship between Mr. Paladino and Mayor Brown is precisely why Buffalo’s residents should not expect any major change in the way local officials choose one project or neighborhood over another. “… [A]t the trial, the prosecution presented evidence that Dr. Kaloyeros and Todd R. Howe, a former lobbyist with ties to Mr. Cuomo, conspired to defraud Fort Schuyler Management Corporation, a nonprofit real estate arm of SUNY Polytechnic, by steering lucrative contracts to two firms whose executives were significant donors to Mr. Cuomo’s campaign. As part of the scheme, Dr. Kaloyeros and Mr. Howe tailored requests for proposals, or RFPs, to fit the specific qualifications possessed by the two companies — LPCiminelli, a Buffalo construction management firm, and COR Development, a Syracuse-area firm — and ensure that they be chosen by Fort Schuyler for the projects. There are subtler ways than the Buffalo Billion bid-rigging scheme that political contributions and crony capitalism taint the decision-making process. I’ve observed an unsettling correlation between major contributions to Andrew Cuomo, and receipt of an “environmental free pass” – that is, approval of major construction projects without the time and expense of an Environmental Impact Statement (which is the most effective tool the public has to influence development-related decisions). The Jacobs family, the Pegulas, and Queen City Landing’s Gerry Buchheit, all appear to have benefited from this significant perq. But the Solar City project is probably the most egregious example of this phenomenon. LPCiminelli not only benefited from a rigged Request For Proposal process, the company was able to immediately put a shovel in the ground without first systematically analyzing and mitigating potential adverse environmental impacts. The state agency granting the “free pass” was, no surprise here, Alain Kaloyeros’ SUNY Polytechnic Institute (known, at that time, as the College of Nanoscale Science). And, by the way, Andrew Cuomo, in the midst of a re-election campaign, got to boast about a massive project actually underway in Western New York, rather than a mere development plan undergoing environmental review. In a bid to placate a number of environmental advocates concerned over future private development along Buffalo’s Outer Harbor, the Common Council created the “Outer Harbor Review Area.” Residential structures are prohibited within the boundaries of the review area, and any proposed use in the Outer Harbor review area has to receive a “special use permit” from the Common Council. Sounds great, but there is one major problem. Historically, the Outer Harbor has been described as the Lake Erie shoreline from the U.S. Coast Guard Station at the northern end, extending southerly beyond Times Beach Nature Preserve, the Seaway Pier, the Terminal “A” and “B” complex, the former Freezer Queen site (now, the proposed location of Queen City Landing’s controversial 23-story tower), the Small Boat Harbor, the Gallagher Beach facilities, down to the Tifft Nature Preserve. But, the Green Code mysteriously ends the boundary of the Outer Harbor Review Area at the southern property line of the Terminal “A” and “B” parcel. That means that the Queen City Landing parcel – adjacent to the terminal complex – is not burdened with the restrictions that apply to land included in the Outer Harbor Review Area. Efforts to get South District Councilmember Christopher Scanlon to explain this discrepancy have not been successful. Still trying to figure out what to give the equivocating elected official, demanding developer, or recently-indicted construction company executive on your holiday list? Perhaps a newly created board game, “Construction and Corruption,” is the answer. The brainchild of Montrealer David Loach, “Construction and Corruption” is a negotiation game where players compromise, bribe, sabotage and cajole each other through four phases of interaction: contract creation, construction, mayoral election, and federal investigation. The primary goal is to maximize profits by delaying the actual completion of a project. No promises or bribes are binding. New York’s politics have been dominated for years by “Three Men in a Room” – the governor, Senate majority leader, and Assembly speaker. Preet Bharara, the U.S. Attorney who recently brought charges against one of Albany’s ruling troika, Sheldon Silver, sees the lack of openness and transparency inherent in such concentration of power as a significant detriment to democracy. But Andrew Cuomo’s approach to this year’s budget makes three-men-in-a-room look downright egalitarian. With the once formidable Mr. Silver no longer holding the Assembly speakership, the governor has “linked” several controversial and complex issues – including ethics reform and the funding of charter schools – directly to the budget approval process. Mr. Cuomo has replaced Albany’s triumvirate with a new dynamic that looks suspiciously like “One Man in a Room” – where the governor unilaterally calls the shots. Although the Buffalo News editorial board concludes that, “Cuomo’s linkage of contentious ideas is the right strategy if taxpayers benefit,” Preet Bharara knows just how big an “if” that is. Through a close examination of the governor’s handling of the Moreland Commission – from Mr. Cuomo’s sudden disbanding of the anti-corruption panel in late March 2014, to reports that the governor’s office had interfered with the commission’s activities – the U.S. Attorney is in a position to assess Mr. Cuomo’s willingness to place political expedience above the public good. While Buffalonians may lack access to the Moreland Commission files, we have many reasons to be skeptical of the decisions and motives of Gov. Cuomo given the political favoritism, crony capitalism, and deception that appear to permeate his administration’s activities here. In March 2014, the governor announced that the LP Ciminelli firm would serve as developer of RiverBend, the largest of the so-called “Buffalo Billion” projects. Coincidence or not, two months earlier, LP Ciminelli’s CEO and his wife had donated nearly $30,000 to the Cuomo re-election campaign. Coveting a quick, pre-election start to his flagship “Buffalo Billion” project, the governor was not going to let the state’s environmental review law – SEQRA – get in the way. 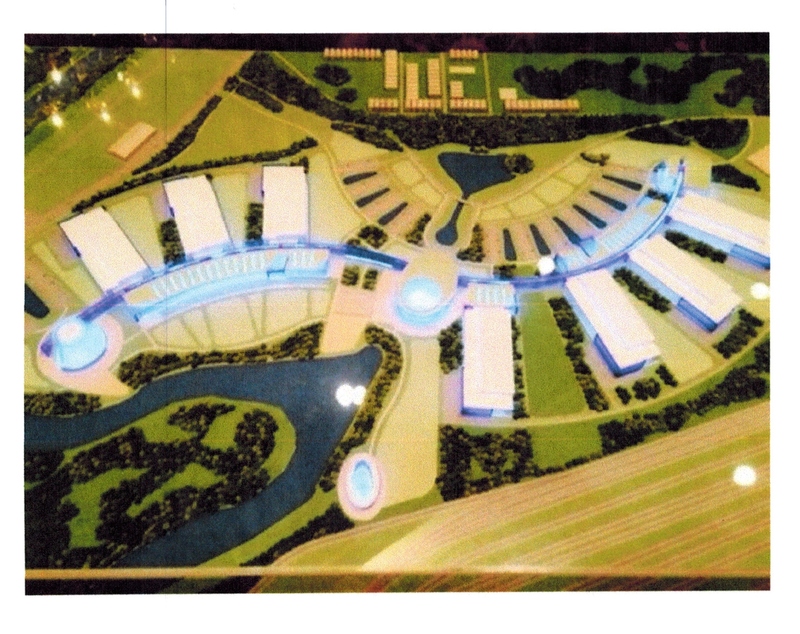 In May 2014, construction was allowed to proceed on the 90-acre, nearly 1 million square-foot manufacturing and R&D project without preparation of an environment impact statement. It made no difference that SEQRA presumes that a comprehensive environmental study is required whenever a nonresidential facility such as RiverBend involves alteration of 10 acres or 240,000 square feet of buildings. Expansion of the Peace Bridge plaza, another of Mr. Cuomo’s priority projects, provides additional reasons to distrust the governor’s actions. As reported in an August 2014 News article, “Plotting at the Peace Bridge,” the audio tape of the Peace Bridge Authority’s April 2014 meeting reveals the deceptive tactics utilized by the governor’s appointees to hasten implementation of his expansion plans. Andrew Cuomo has demonstrated that he is motivated by political expedience, not the public interest.